Welcome to the best Offroad Pro Truck Driving 2018 Simulator where you are going to travel and drive the heavy truck through the hilly off road paths to reach your destinations. Strap your seat belts and drive the fully loaded truck on the most tricky mountains tracks you have never seen before. Eye catching mountains views and realistic truck driving will give you the feeling that you are actually driving the loaded truck on the impossible tracks. 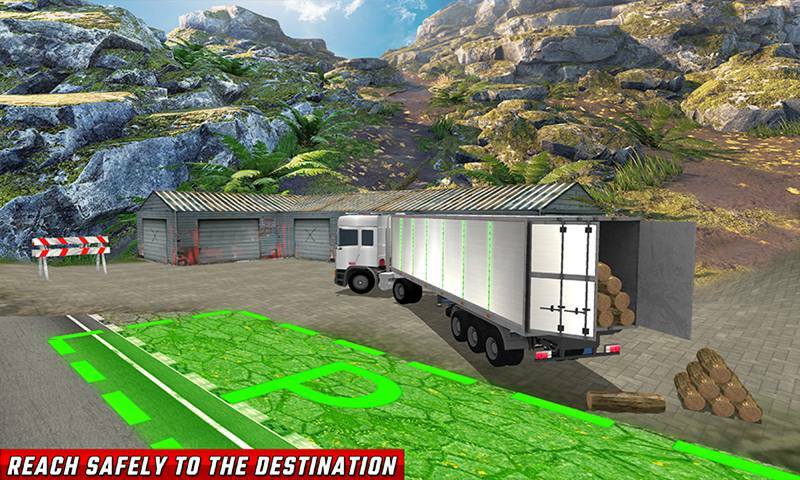 Enjoy the latest exciting missions of truck transport game like, Offroad Pro Truck Driving 2018 Simulator, where you can choose the powerful cargo trucks to drive on the uphill areas. Drive carefully on the dangerous track any mistake will take you to lose the game. Beware from the hurdles, roadblocks, land sliding, and from the trucks that are victim of the accident. Different camera angles and the realistic smooth controls of the truck made this truck driving game popular. 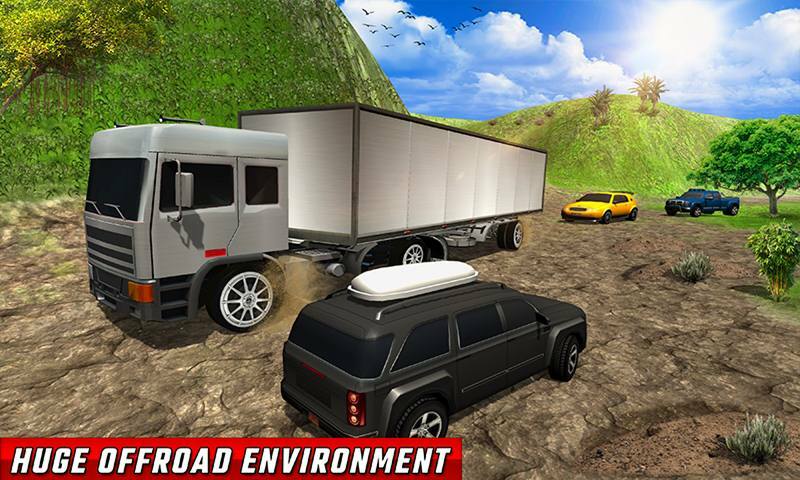 Offroad Pro Truck Driving 2018 Simulator contains the incredible and thrilling missions for the truck games and truck driving games lovers. Choose your favorite truck vehicle and get ready to drive on the impossible tracks where driving is a challenge for the rookie driver. Control your speed of the truck on zigzag tracks otherwise, your truck will fall in the river. 3D eye-catching environment of the mountains, rivers, land sliding and much more to explore in truck driving 2018 game. 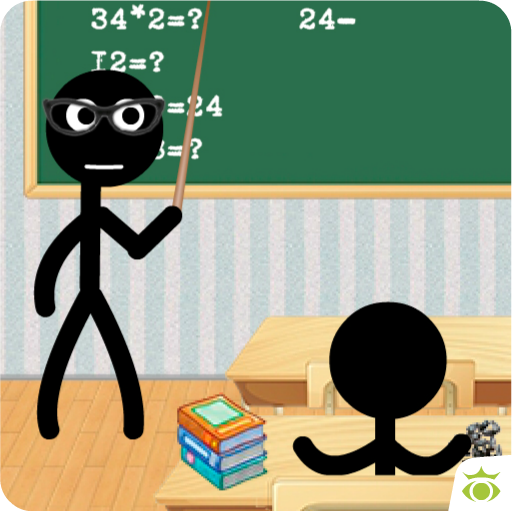 Drive carefully and reach towards your destination safely so that you can unlock the other thrilling missions. 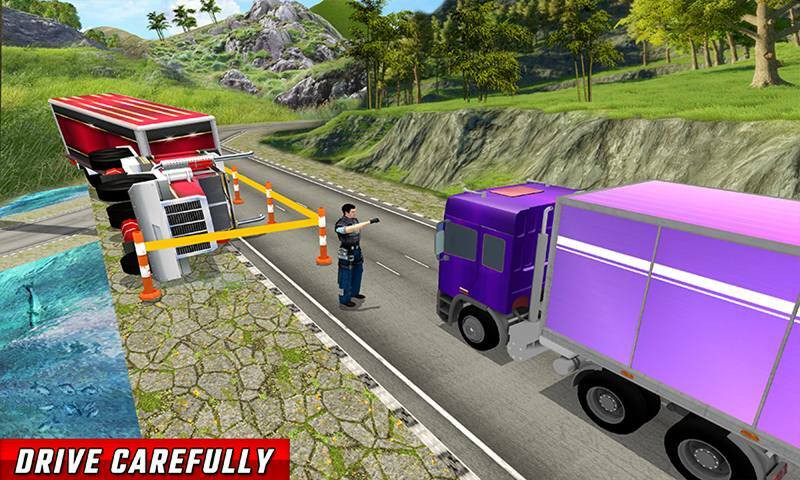 The game play become more complex than the previous one when you see the road accidents, roadblocks, wood cube and land sliding over the road. On the other hand, river is flowing both sides of the road, any mistake while drive your truck will sink in the river. Complete each level with in time to get more score in this truck simulator so that you can easily unlock the other beautiful trucks. Realistic physics and easy controls of the truck made this game more entertaining that you are really driving the loader truck on a hill. Many road tracks you will see on the map that will help you to reach towards your destination easily. Explore the huge offroad environment and become the king of the road. 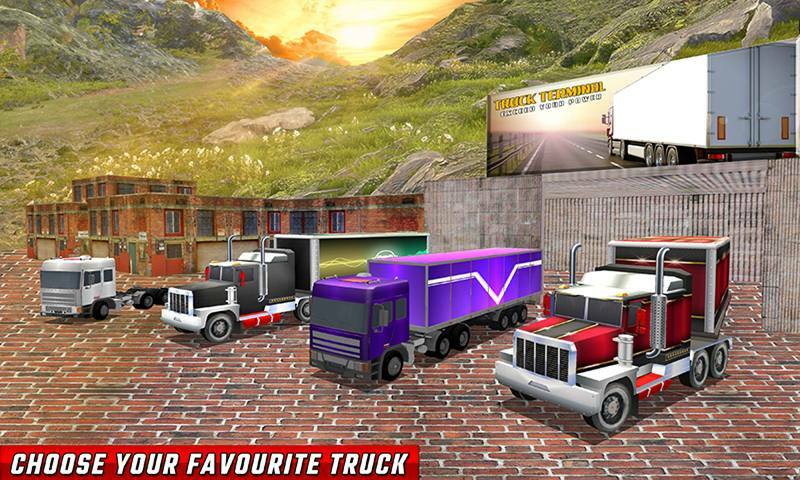 • Play as a truck driver and drive on hilly tracks. • Choose your powerful offroad truck vehicle. • Sharp and narrow impossible hilly roads to drive. • Challenging and daring missions to play. • 3D environment of the offroad and mountains area. 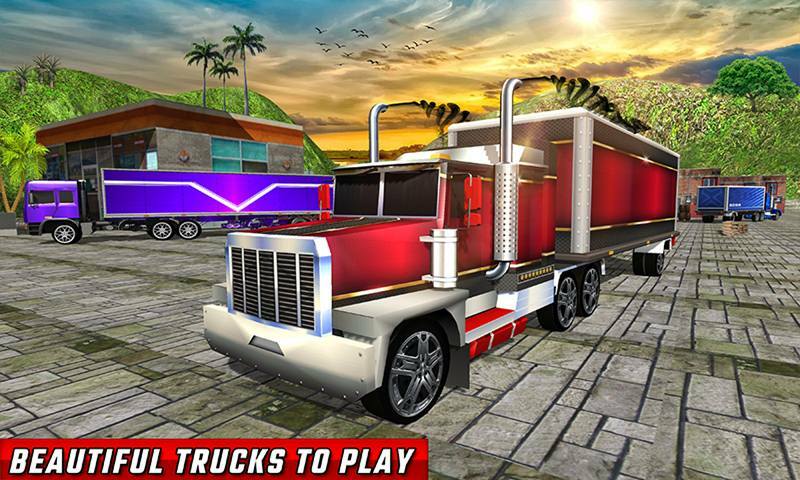 • HD graphics and Easy controls of the trucks. • Dynamic camera angles of the truck while driving. 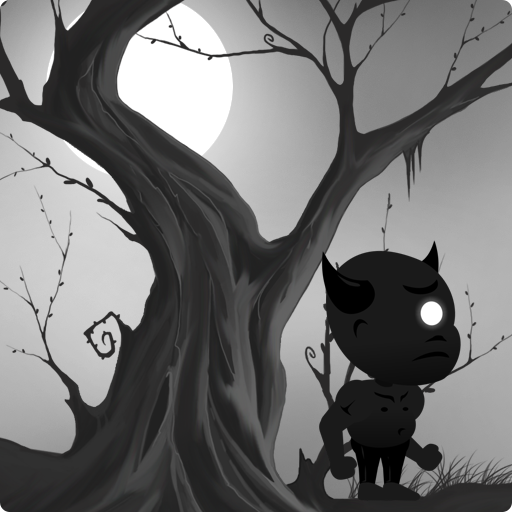 • Cool sounds effect and addictive game play. Get ready to enjoy the impossible hilly mountain truck driving in Offroad Pro Truck Driving 2018 Simulator that contains the incredible missions for the professional truck driver games lovers. 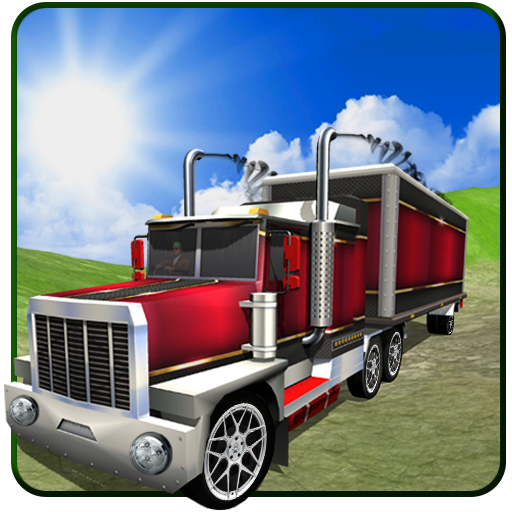 Show your truck driving skills on the most tricky and slippery roads and become the king of the road. Travel through the huge beautiful hilly environment accept the challenges and made a blast in the gaming world of truck driving 2018.